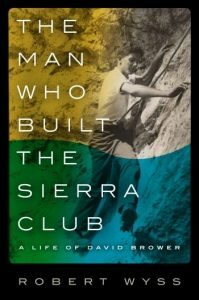 In The Man Who Built the Sierra Club, Robert Wyss details how David Brower transformed the Sierra Club into America’s most prominent environmental organization, in the process elevating the conservation movement into a national political force. Wyss portrays a true believer who fought relentlessly to protect the natural world. He succeeded, Wyss says, “because he made people care.” And he did so by becoming a deft public-relations pioneer.